We Care Ritzman Back-to-School Extravaganza hosted by the Ellet Grace Brethren Church in Akron, Ohio (Jonathon Carey, pastor) on Sunday, August 25, 2013. We Care Ritzman Back-to-School Extravaganza hosted by the Ellet Grace Brethren Church in Akron, Ohio (Jonathon Carey, pastor) on Sunday, August 25, 2013. 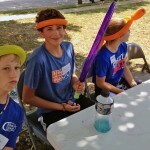 There were 200 Sno-Cones served during the event. We Care Ritzman Back-to-School Extravaganza hosted by the Ellet Grace Brethren Church in Akron, Ohio (Jonathon Carey, pastor) on Sunday, August 25, 2013. 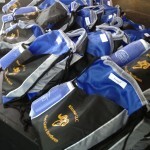 The church presented 120 backpacks filled with school supplies to students. 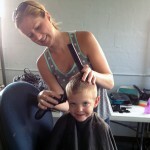 70 haircuts within two hours by seven volunteer stylists. Ritzman’s principal, Larry Bender, again faced down his students at the flush machine. 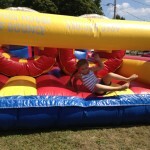 “The kids loved it,” she adds. Lunch was available, served by Beckie’s daughter-in-law, Rachel Gurnish, and her volunteer staff. 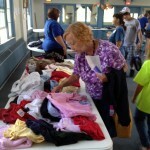 There were door prizes for the moms and dads who accompanied the children. 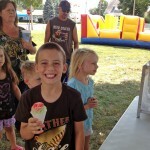 “Every parent walked away a winner, as we had prizes ranging from cones at the local custard stand to gift certificates for gas, restaurants, and a local business that sells school uniforms,” Beckie reports.